Words Alive's signature fundraising event is the Annual Author's Luncheon & Fundraiser. Celebrating its 15th year, the Author's Luncheon has featured world renowned authors such as Salman Rushdie, Jodi Picoult, and Isabel Allende. Taking place each fall, the Author's Luncheon is attended by over 600 patrons that include book lovers, philanthropists, educators, civic organizations, and people invested in creating a more literate and thriving San Diego. This intellectual, elegant, and fast-paced fundraising event helps Words Alive raise over $200,000 annually, funds that make up a considerable portion of what Words Alive needs to continue serving thousands of children and families each year. This event would not be possible without the support of our sponsors, the generous people, companies, and organizations who know how important literacy is for a successful and thriving community, and support our mission of opening opportunities of life success by inspiring a commitment to reading. "Words Alive and Voice of San Diego are both about helping San Diegans engage with the community through words and knowledge. The children and youth who benefit from Words Alive’s programs will hopefully grow up to be civically active community members who vote and participate in our democracy. And our local democracy will be healthier for them thanks to VOSD’s intrepid reporting." Want to know what’s really happening in San Diego? Concerned about how local agencies operate and make decisions about education, the environment, housing, or public safety? VOSD's Morning Report logo, sign up here! Then check out Voice of San Diego’s Morning Report to learn more. As a Words Alive supporter and someone who cares about San Diego, we think you’ll enjoy reading it. Voice of San Diego is an award-winning nonprofit news organization that digs deeply into local issues and organizations that affect the public. Our mission is to deliver ground-breaking investigative journalism for the San Diego region and to increase civic participation by giving residents the knowledge and in-depth analysis necessary to become advocates for good government and social progress. VOSD’s stories spurr officials to act, catalyze change, and enhance the lives of our fellow residents. Below are a few examples of how VOSD made a difference in our community in 2017. 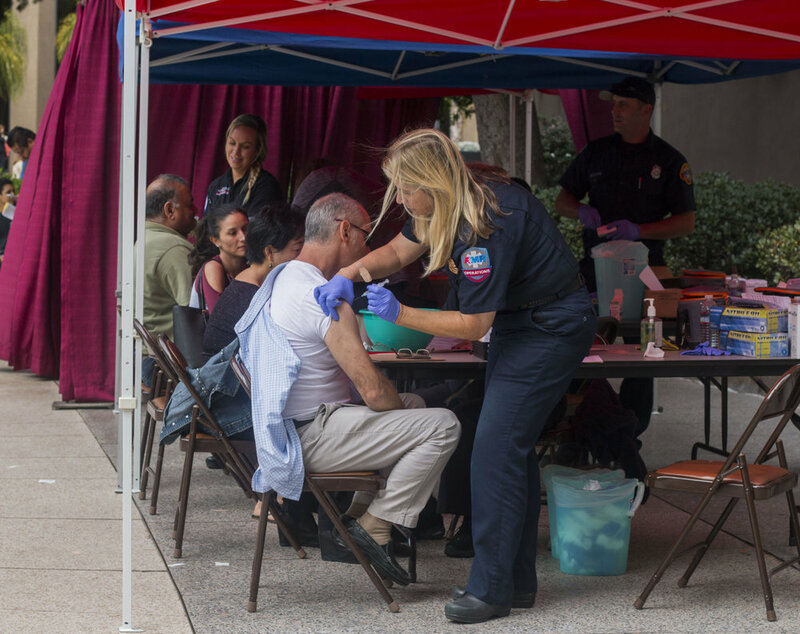 Within a day of Lisa Halverstadt’s story describing county and city officials’ foot-dragging on a response to the Hepatitis A crisis, both entities announced they would take swift action. The story prompted public responses from elected officials and attention from national media outlets. SANDAG Executive Director Gary Gallegos stepped down following a nearly yearlong investigation by Andy Keatts, that culminated in a brutal report from an outside law firm. Legislation to overhaul the San Diego Association of Governments, written by Assemblywoman Lorena Gonzalez Fletcher, was signed into law by Gov. Jerry Brown earlier this month. The bill was spurred by our reporting on SANDAG’s faulty revenue forecasts. 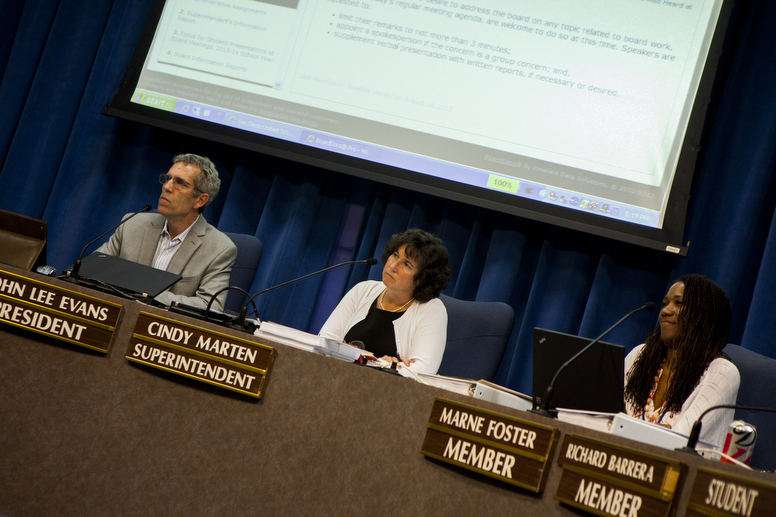 A San Diego Superior Court judge sided with Voice of San Diego and found that San Diego Unified improperly withheld documents related to our investigation of former trustee Marne Foster. The case sets an important check on public agencies who try to keep public records from the public under the guise of exemptions to the California Public Records Act. The San Diego County Taxpayers Association gave two awards to Ashly McGlone and Andy Keatts to honor their coverage of the Field Turf contracting issues and the SANDAG scandal, respectively. San Diego Society of Professional Journalists recently announced Andy Keatts as 2018 Journalist of the Year for his investigation into SANDAG. We have many sponsorship opportunities still available! If you, or the company you work for, believes in the importance of literacy and is interested in helping Words Alive foster a more literate community, check out sponsorship details here. We have benefits available from social media promotion, to recognition on centerpieces, to the opportunity to announce our featured author, Mary Kubica, at the event! An image of Board Member Orville Brown standing in front of a bookshelf. The image has the following quote from Orville: "As a child growing up in the British Caribbean, it was instilled in me and my siblings that reading and communication were critical in our development. We spoke the dialect “Patios” at home but in school we were taught English. We were rewarded when we able to spell a word or read a book. Orville Brown is one of our Board Member who came to us through our merger with Rolling Readers. He is a Senior Research Scientist at Ferro Corporation, and he has 14 patents in the microelectronic field. He received his undergraduate degree in Mathematics and Chemistry from Hunter College of the City of University of NY and his graduate degree in Chemistry from Columbia University. He is also involved in Habitat for Humanity Global Village. We are so happy to have Orville on our Board! Now, let's hear from him! What was your relationship with literacy as a child? As a child growing up in the British Caribbean, it was instilled in me and my siblings that reading and communication were critical in our development. We spoke the dialect “Patios” at home but in school we were taught English. Reading, writing, spelling/ pronunciation were separate courses which were taught from kindergarten through third grade. We were rewarded when we able to spell a word or read a book. I actually fell in love with reading when I was about 7 years old. I was in a school play and I had to remember my lines of a poem by Robert Louis Stevenson – “The Moon”. The “everyday routine” such as traveling, communicating (such as sending an email or a text) or reading the news or a technical journal requires some degree of literacy. What impact would being illiterate have on your life? Would you have the same profession if you couldn’t read? Without being literate I could not be in my field. First it requires being literate to complete one’s degree and then as researcher, I have to be able read and write reports, technical journals, patents, standard operating procedures, solve technical problems/challenges and all the other requirements that come with my career. I would not have the same career—I would not be hired. My favorite book is Alice Walker’s, “The Third Life Of Grange Copeland.” The story encompasses love, determination (never give up), hope, and redemption. There was a book series that I was addicted to as a child. The Hardy Boys Series by ghost writer Franklin Dixon (Stratemeyer Syndicate). Joe and Frank Hardy's mystery solving skills kept me up late under the covers as an 8-year-old kid. My favorite single book was “Huckleberry Finn” by Mark Twain. This book introduced me to a different America than I envisioned it to be growing up in Jamaica. The ordeals, the trails, his relationship with Jim and the excitement of Huck Finn’s journey down the Mississippi got me hooked. Do you have a favorite memory relating to reading? Yes—As a 5th grader in a small class in New York we were each given a paragraph of Joseph Conrad’s, “Heart of Darkness” to read aloud. When it came to my turn, I was stuck, I completely went blank for about a minute. It felt like eternity. I was able to pull myself out, recover, and read my paragraph. But, I still remember that feeling! What made you join the Words Alive board? I grew up in a home where volunteering and giving back to the less fortunate was a requirement for all. I attended a Rolling Reader’s function and got hooked and wanted to be a part of its mission. In addition my kids were avid readers and are successful in their careers because of that. I wanted others to have the opportunity that I had and my children had because of that childhood reading experience. Seeing the positive results of Words Alive's efforts. A picture of Sharon Bakcht at our Volunteer Appreciation Event. She is holding her award for Leadership Volunteer of the Year. Sharon Bakcht is one of our newest Board Members but she's already proven to be dedicated to making positive change with us at Words Alive! Sharon is a San Diego native and has 16+ years of experience in strategic planning, innovation leadership, and marketing strategy in a variety of sectors. She currently heads up early stage innovation programs at WD-40 Company for the Americas region. A native of San Diego, Sharon is passionate about fostering positive impact in the local community. Sharon recently was awarded Leadership Volunteer of the Year at our 9th Annual Volunteer Appreciation Event. Sharon’s journey with Words Alive started three years ago when our partnership with San Diego Social Venture Partners began. She volunteered to serve as the marketing lead with our project and led our staff and leadership in developing and executing our marketing plan. She continues to provide support in her area of expertise on our marketing and communication committee. Now, let's hear from Sharon herself! As a child I loved looking at picture books in Spanish with my parents, who emigrated from Mexico City. My parents mistakenly thought I could read before the age of two because I would memorize the words and say them at the right times. As a preteen, I was a voracious consumer of The Babysitter's Club and Sweet Valley High series. I loved immersing myself in the lives of these characters and their worlds. I spent a lot of time checking books out of libraries! Literacy is an imperative for my success every day. I read for pleasure, read for work, and most importantly, I read to my 1.5 year old son, whose face lights up with wonder every time we read new stories and re-read beloved books like "The Hungry Caterpillar". One of my son's absolute favorite books was given to us by Words Alive - "How To Make Vegetable Soup" in Spanish and English. It's the best hearing that little voice say "tomato!" and "water the seeds!" Would you have the same profession if you couldn’t read? Without literacy, I could not have achieved higher education in Psychology and Business Administration, and have the career I do today, leading product innovation programs at WD-40. Literacy is absolutely essential to my success. "A Heartbreaking Work of Staggering Genius" by Dave Eggers. Some books touch your soul. This was one such for me. The way Dave Eggers writes gets straight to the heart of emotion, and revealed to me what it means to be vulnerable, loving, and humorous in the face of personal tragedy. “The Giving Tree” by Shel Silverstein. I loved seeing the relationship between the boy and the tree evolve. Looking back now, I can see that the simplicity of the way the book reveals the moral of the story is brilliant. So many! I loved reading Armistead Maupin's "Tales of the City" when I was a young twenty-something living in San Francisco. I imagined a wilder San Francisco of the past. I am truly passionate about language, books, stories, and the roles they play in our lives. On top of this, the staff at Words Alive is top-notch. I couldn't imagine a brighter, more effective, and more dedicated team. Words Alive continues to grow, and as we expand, we are continually building our team. In that vein, we are excited to announce our newest team member, Sara Mortensen. Sara joins the Words Alive family as the Office Coordinator, responsible for front desk operations and supports development, events, communications and programs. Sara is native to San Diego and graduated from the University of California, San Diego with both a B.S. in Cognitive Science with a specialization in Neuroscience and a B.A. in Dance. 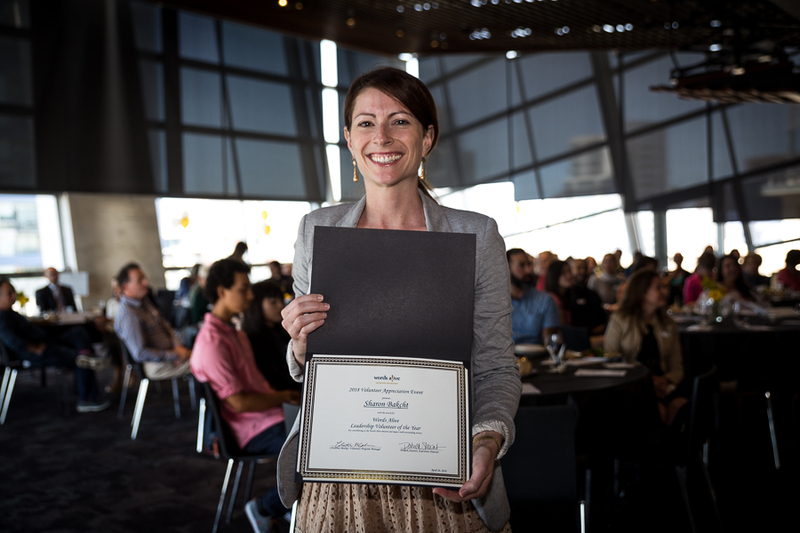 Previously, Sara worked as a Research Assistant with the Veterans Medical Research Foundation on the QUICK Study, which aimed to quantify how the use of Electronic Health Records in clinical settings affects physician-patient communication. Sara is also a volunteer for The Harry Potter Alliance, a nonprofit organization that works to create positive social change through the power of story. She currently holds the position of Research Team Lead for the Campaigns Department. Sara is very passionate about reading and is excited to be working with the Words Alive Team. Now, let’s hear from Sara! Sara, tell us what intrigued you about Words Alive? I am very passionate about reading and since I have graduated from college, I have been interested in finding a full-time job at a nonprofit organization. So Words Alive seemed like a perfect fit for me! I think that the work that Words Alive does is so important for our community, and I really wanted to be a part of making that happen. I am most excited about how much I am going to learn in this position! I'm looking forward to working closely with multiple different departments here and seeing how I can best contribute to the success of Words Alive. What is your relationship with literacy? Books have been a part of my life for as long as I can remember. I have early memories of reading, whether it was first learning to read in preschool, helping my best friend learn to read better in second grade, my mom reading Harry Potter with me every night, or discussing what books I'm currently reading with my friends. Literacy has been so important to my personal development and success, and I think that my love of books shapes a lot of my personality. When someone asks me to describe myself, the first thing I say is usually, "I'm a reader!" And by the way, what are you reading currently? I am currently reading Americanah by Chimamanda Ngozi Adichie, and I am also listening to the audiobook of The Name of the Wind by Patrick Rothfuss. This is my third time reading The Name of the Wind; it is one of my all-time favorite books! Currently, there are no employment opportunities at Words Alive, but we are ALWAYS recruiting for wonderful volunteers to work in the classrooms with both other students and families. Check out how to get involved as a Words Alive volunteer! #makereadingmatter #wordsalive.